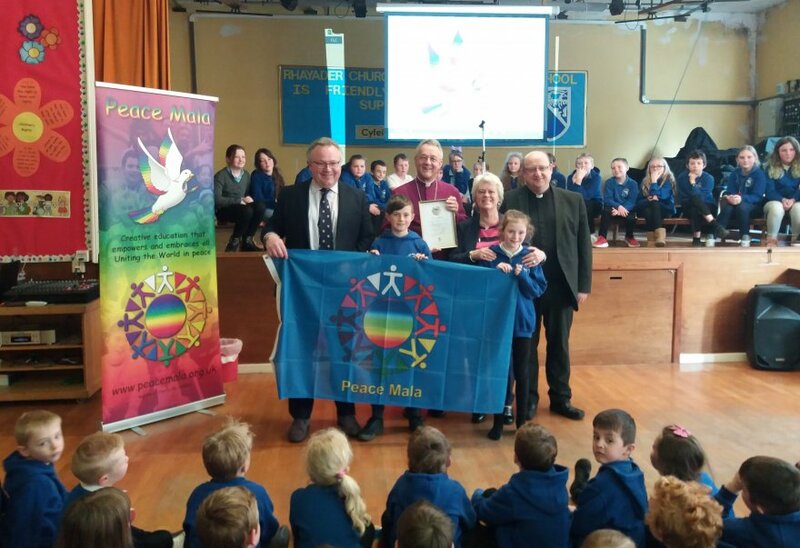 Rhayader Church in Wales Primary School celebrated Peace Mala Silver Award Accreditation on Tuesday 3rd April 2019. Pupils were delighted to receive the support of Archbishop John of Wales, who is a great supporter of the Peace Mala project. John Meredith, The Director of Education for the Diocese also attended; along with Revd. Lance Sharpe, former chaplain at Morriston Hospital, Swansea, who has now been appointed as Vicar of Gwastedyn. This was his first visit to the school. 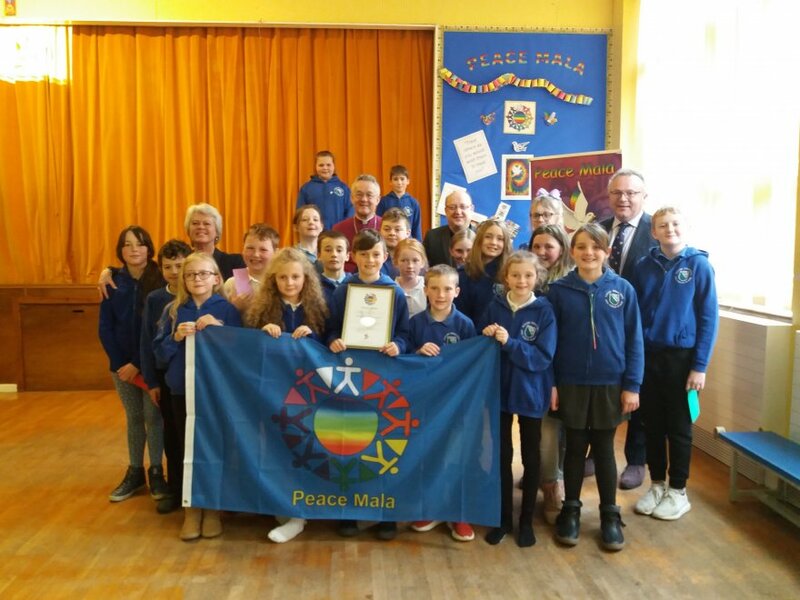 “Rhayader Primary have done the most wonderful work to achieve the Peace Mala Silver Award. I am immensely proud of the children, staff, and leadership skills of the Headteacher Linda Crockett. 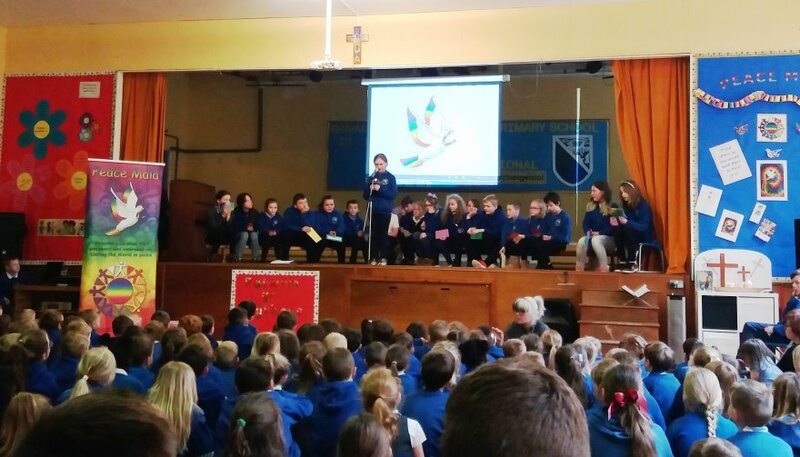 We hope that more Church in Wales schools will follow the example being set by Rhayader. Llongyfarchiadau mawr!” Founder of Peace Mala Pam Evans.